Well, our last bacon recipe was a hit so why not toss another one out there? BBQ bacon wrapped shrimp on homemade coleslaw is another incredibly easy crowd pleaser for you to add to your recipe repertoire. If you aren’t an existing Passanante’s Home Food Service customer, request a FREE gourmet food sample and see what we’re all about. Our customers depend on Passanante’s to deliver high-quality, healthy and delicious foods to their homes including organic produce and hormone-free meats. Give us call at 1-800-772-7786 to talk with one of our friendly staff to learn more, or check out our Facebook to see what people are saying! Combine mayo, Asian coleslaw and apple cider vinegar in a mixing bowl. 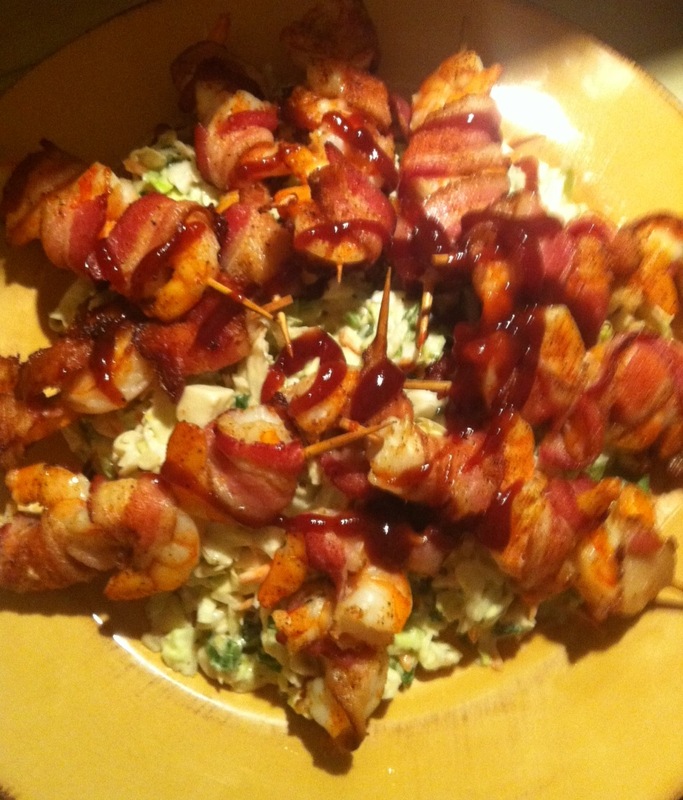 This entry was posted in Recipes, Seafood, Sides & Salads and tagged Bacon, Hormone-Free Meat, Passanante's Home Food Service, Recipe, Shrimp by Passanante's Home Food Service. Bookmark the permalink.